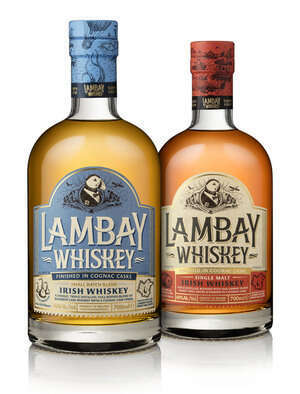 Lambay Irish Whiskey is a new portfolio of Irish whiskeys that bring a unique cognac cask finish to the category. Created through a collaboration of Camus Cognacs and the Baring Revelstoke Trust, the whiskeys are inspired by and named for the island of Lambay, a private wildlife sanctuary just 3km off the coast of Dublin, owned by the Baring family since 1904. The portfolio includes Lambay Small Batch Blend a blend of malted barley and grain whiskeys finished in French oak cognac casks; and Lambay Single Malt, which is aged and then finished in cognac casks which mature in a bonded warehouse on Lambay island, adding unique maritime notes to the rich, cognac finish.